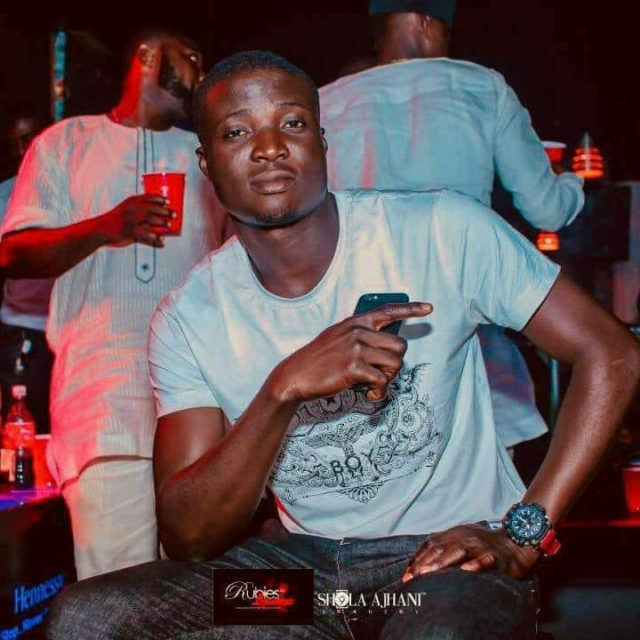 A promising young man has lost his life in a most shocking manner after being falsely labeled a thief in Lagos. 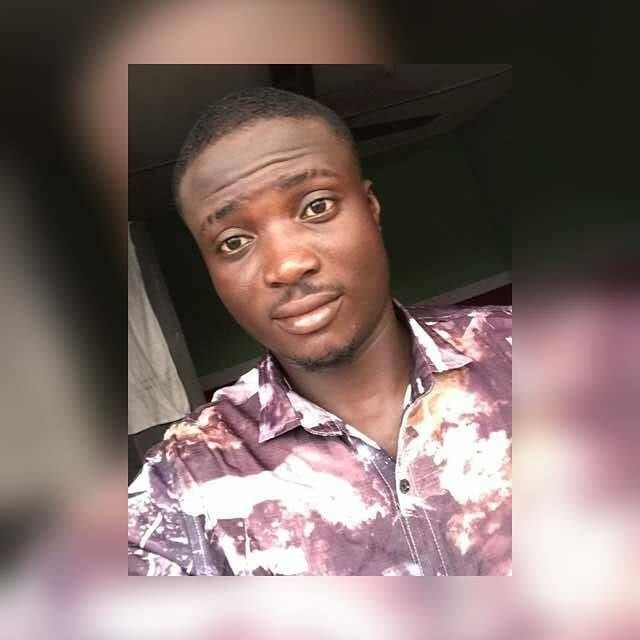 ''This is the picture of TEMITOPE ADEOYE,his Facebook handle is (A KAN JI) he is my colleague at work apapa tincan island port, was coming from work when someone people point him as thief he was burn to death instantly his mother died last December and his girlfriend is heavily pregnant pls justice sodique justice for his family it happened last night along cele ijesha road." 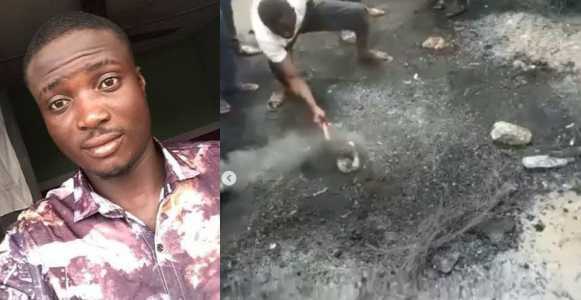 ''His name is SODIQ he is a clearing agent at apapa tincan island port he was going home last nite along cele ijesha road he dropped to pay the bike man when some guys out of nowhere started shouting thief thief thief he ran that he is not a thief but they caught him and started beating stabbing him till he was tired to move they remove his wristwatch his two phones and they set him on fire the fellow colleague went to ijesha police station to report but nothing was done the friend that escape went to report but they detain him and transfer him to panti in yaba he was burnt to ashes and nothing was done till two of the criminals went to the station to report and they found his wristwatch and phone on them they are still at panti pls help repost till the Nigerian police will see this we want Justice for SODIQ"